Thank you to everyone who participated in the 2012 Thanksgiving Drive! 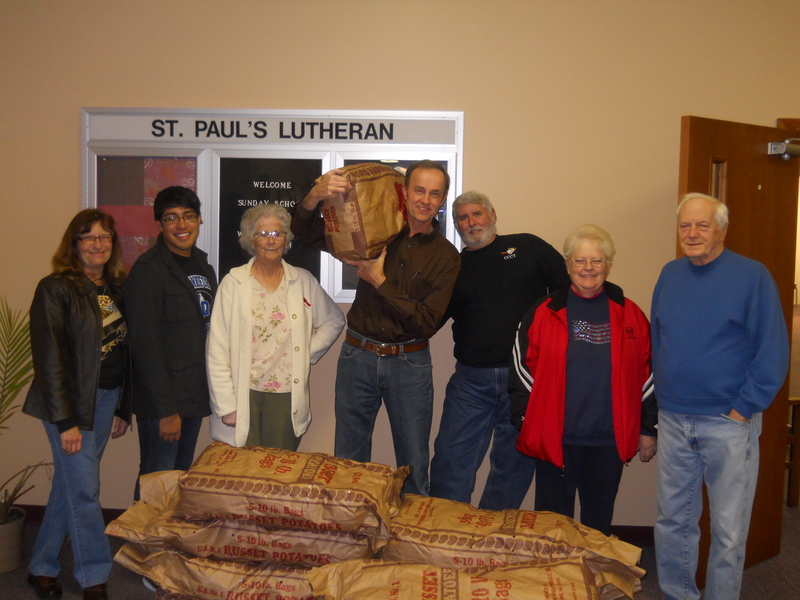 Through your faithful efforts, St. Paul’s collected 1669 lbs of food for local families this Thanksgiving holiday, well exceeding our goal of 1200 lbs! The Thanksgiving Drive is a huge ministry that is continues to grow each year. This worthy ministry is built on the loving action of many volunteers – from those who prepare soup for the Eat2Feed Soup Supper to those who enjoy the soup while contributing to the cause; from the staff at Marsh Main Street Market to council members who organize the logistics; from members who pack & deliver baskets to the many volunteers across our county who faithfully serve day in, day out in the fight against local hunger. 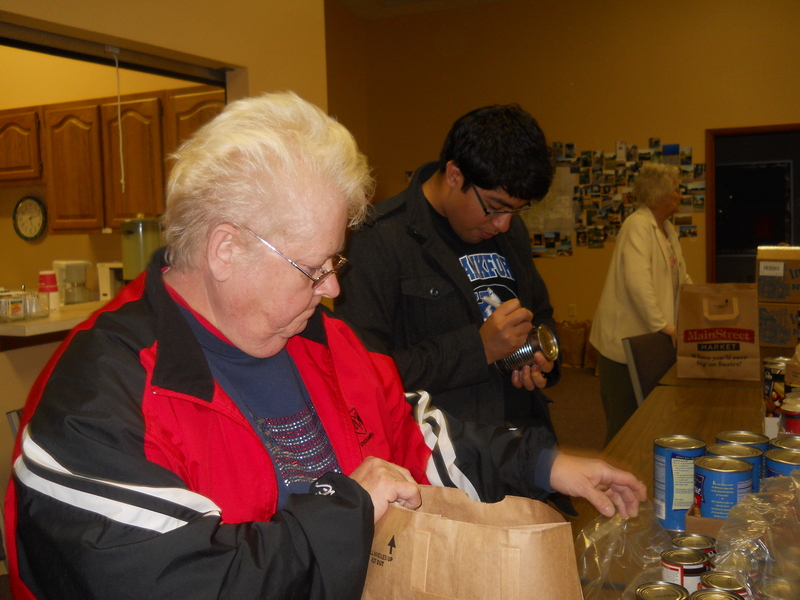 This year, we are especially thankful for those who serve at the monthly food pantry at First Baptist Church. So this Thanksgiving, as we all prepare to sit down at the table and enjoy a holiday feast with those we love and thank God for the blessings we enjoy in life, let also give thanks to God for the many hearts and hands that put faith into action and work hard to see that others may join in the praise of thanksgiving to God.